There’s no doubt the World Club Challenge needs a freshen-up. As someone who covered – and attended – every one from 1994 to 2017, I’ve head officials of the visiting team privately criticise the hosts – and vice versa even more often – almost every year. When it goes to Australia, the Brits can’t believe there’s no match programme for fans or that it gets treated like a pre-season game, with trials played the same day that can get more publicity. When the Antipodean team heads north, they believe Super League should be completely paused for the weekend rather than just the schedule of their opponents being interrupted in a domestic season that started up to a month before. 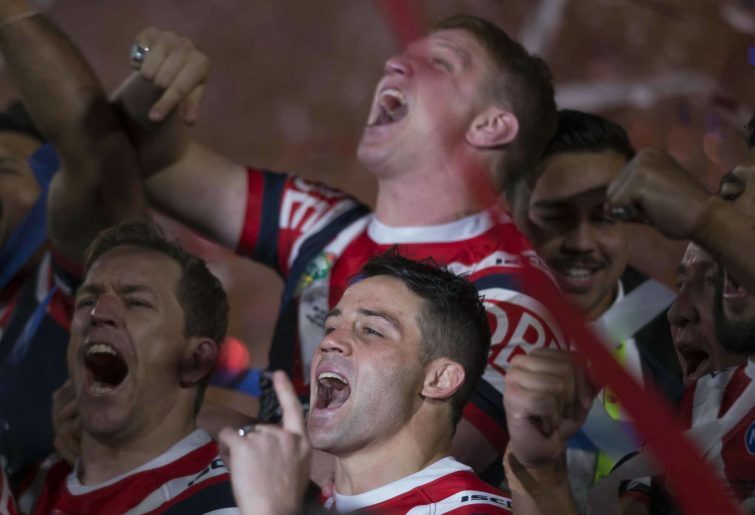 And, over the years, there have been plenty of Englishmen who believed the NRL sides have been too greedy in their demands to even take part in the match – and a long-running, never-ending sense of exasperation that the Australasian authorities don’t even make the event compulsory. That leaves it to the whims of the NRL premiers as to whether they even take part, what they get paid and where the match is played. Melbourne didn’t want to travel to Leeds so the Rhinos went to them in 2018 – full credit to Sydney Roosters for showing enough interest to be at the DW Stadium on February 17 with a stop in France on the way. My colleague Phil Wilkinson of the Wigan Observer tells me the Super League and NRL champions had preliminary discussions about “meeting halfway” this year – ie: playing the match in Asia. But, says Wilko, they “ran out of time”. Well, of course, they did! This is because no serious discussions take place about the World Club Challenge until we know what clubs are in it. And those talks are primarily between the clubs involved – governing bodies just don’t seem to want to know. It’s a situation bordering on the farcical. Now, there is a “steering group” comprising officials of certain clubs that works on the WCC the rest of the time – but you know how football officials are when it comes to jinxing themselves by doing anything that could be perceived as ‘assuming’ they’re going to win a trophy. There’s also this problem which is rarely discussed: rugby league doesn’t sell these sort of properties because any sponsors might then be taken away from the week-to-week competitions. There is a fear that Peter is being robbed to pay Paul – even if it’s in the game’s long-term interests that Paul is paid rather than Peter. No-one works for those interests. The WCC needs a part-time CEO who liaises with broadcasters, sponsors and – most importantly – local authorities in would-be host cities all year ‘round. If he treads on the toes of the wider game – with-in reason – so-be-it. The venue should be locked in before we know who’s in it. So should the date. While the DW will probably sell out in two weeks, that will be on the back of Wigan being followed by their army of fans, not on it being an attractive event marketed to neutrals. Like so many things in rugby league outside the NRL, the World Club Challenge has far more potential than is currently being realised. Steve Mascord has covered rugby league in 15 countries and worked for most media organisations that regularly feature the sport, on both sides of the globe. He started off as an 18-year-old cadet at Australian Associated Press, transferring to the Sydney Morning Herald just in time to go on the last full Kangaroos Tour in 1994. He spent three years at Sydney's Daily Telegraph from 2006 before going freelance at the conclusion of the 2008 World Cup. Steve is the author of the book Touchstones, host of the White Line Fever podcast, partner in international rugby league merchandise start-up Mascord Brownz, and proprietor of rugbyleaguehub.com, hardrockhub.com and hotmetalonline.com. He is married to Sarah and splits his time between London and Sydney.